The traditional cafeteria dining hall may still play a part in university catering life on many campuses across the UK. However, with ever-changing student profiles and food trends, a need for a range of eateries with varying opening times has never been more important to keep student spend on campus. Recognising this, the University of Kent designed and built a new catering outlet to extend its offering to include delivered takeaway until 2:00am, seven days a week on its Canterbury campus. 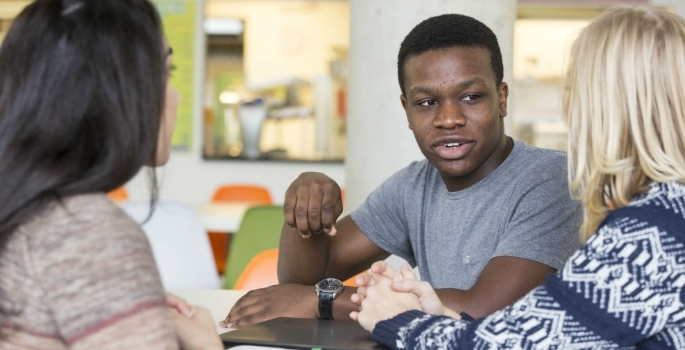 Part of Kent Hospitality department, the in-house catering team have 10 catering and bar outlets on the Canterbury campus, providing a diverse range of goods and services to the students. The team ensures each outlet has a unique identity and offer to match. The only similarity is the focus on choice, quality, value-for-money and exceptional customer service. Outlets include bistros offering cooked-to-order Tex-Mex; Latin-Americana and World Fusion; Grab-and-Go and coffee bars to meet the grazing market; as well as a large cafeteria with a dedicated wok and sandwich bar. Students are even able to order sandwiches online and pick them up at their convenience. However, even with all of those choices a gap in the offering was identified: a late-night delivered takeaway option. Kent partnered with UPP and Brookfield Multiplex to develop 801 new rooms on its Canterbury campus, taking the student accommodation portfolio to over 5,400 rooms. Work started in 2013. As part of the £70m project, a reception hub and catering outlet was included, offering extended student services and dining experience. This new college was named Turing College after Sir Alan Turing, probably most famous for playing a pivotal role in cracking the Enigma code in World War II. The catering outlet within the college was named Hut 8 after the section at Bletchley Park where the decryption took place. Kent opened Hut 8 to the 2015–16 academic year arrivals in September. The college officially opened on 27 November 2015 by Sir John Dermot Turing, nephew of Sir Alan Turing. Hut 8, comprises of three eateries in one food-court style space. Food options include fish and chips, pizzas or flame-grilled BBQ items. Students, staff and the public can eat-in, or order online for delivery. Although ‘fast food’, the emphasis is on quality produce. Chefs make all dishes from scratch, from the pizza bases to signature sauces. Servicing demand for later eating, Hut 8 operates 5pm–2am. Kent students can now get a meal on the Canterbury campus between 7am and 2am. Both systems were then incorporated with the University’s payment platform WPM. Finally, substantial developments took place across the process ensuring a smooth and reliable customer purchasing journey, reinforced through consistency in appearance using Hut 8 branding. Now Mobo2Go and WPM are linked, an operational model exists for other universities to run an online-ordering takeaway with the necessary financial compliance. As with other catering outlets on campus, Kent wanted Hut 8 to be licensed. This created a new set of challenges as students would be ordering online for delivery – rather than in-house consumption. The team came up with several restrictions to overcome this. Alcohol can only be ordered online with a meal and is limited per order. Deliveries including alcohol will only be delivered to an ‘address’ – i.e. 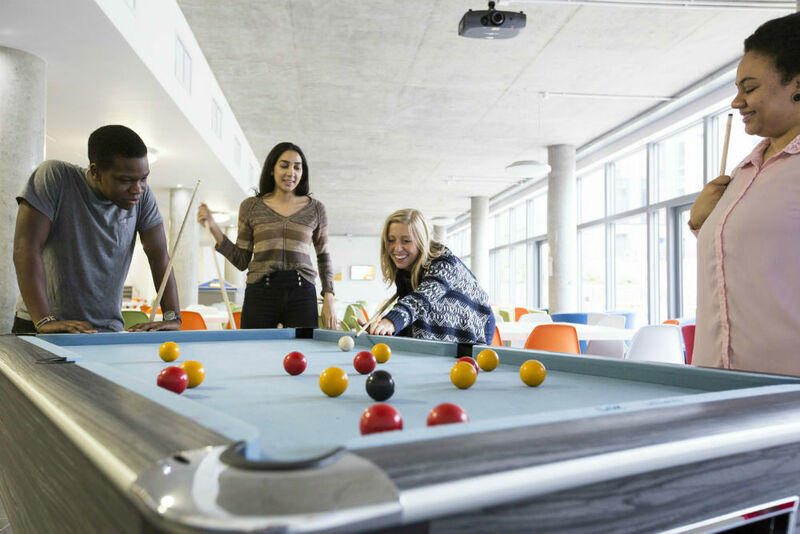 student accommodation, rather than vague locations such as outside at a party. Alcohol will only be delivered to the named recipient who has to show both their proof of age and their student ID card. With all these rules strictly adhered to, Hut 8 is able to deliver alcohol safely and responsibly to students. Hut 8 deliveries are made by bicycle. The Pashley Cycles are ridden by the delivery team who are provided with protective and hi-vis gear. Kent worked with its Campus Security team ensuring best practice was adopted, including using personal alarms, torches and the same protective clothing worn by security staff, as well as having radios connected to Campus Security. 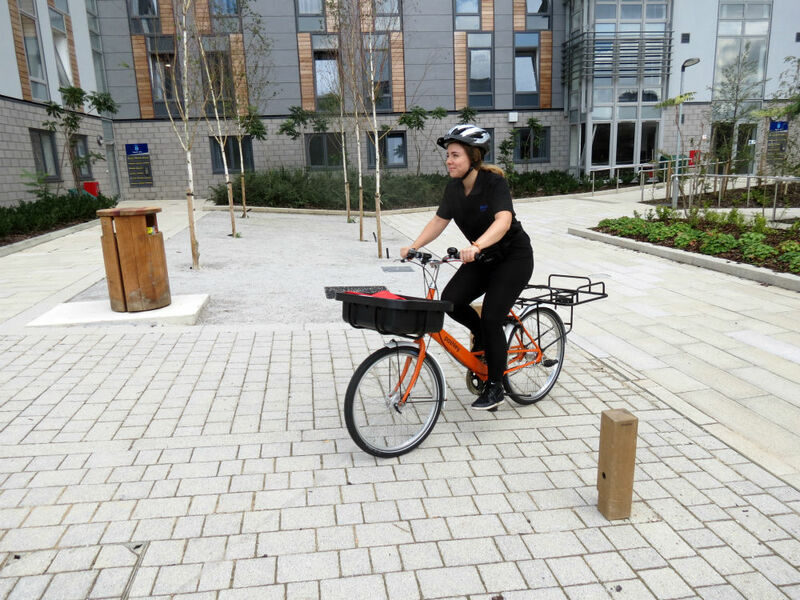 Delivering by bicycle fits with the ethos of the operation in Turing College to be as green as possible. The kitchen houses a state-of-the-art ‘waste to water’ system – a self-contained food waste elimination and recycling system which through the use of shredders and microorganisms turns food waste into grey water which goes into the sewer system. Having only been open a few months, the outlet is still very much in its infancy, with the team continuing to learn and adapt as they go and listen to student feedback. Kent believe that as a trailblazer in a new catering offering and by sharing successes and learning experiences with other universities, the higher education sector as a whole will benefit by improving student dining experiences.